The World Today’s Tariq Ali speaks with Giran Ozcan, of the Kurdistan National Congress, about the current situation in Turkey. They discuss how the failure of Erdogan’s AK party to secure a majority at the last elections has led so some of the worst violence inflicted upon its own people for a long time. Concerns about Abdullah Öcalan’s life: What is happening in Imrali Island Prison? While Öcalan’s and Imrali Island’s total isolation continues since April 2015, now two inmates have been removed from the island and isolated elsewhere. This gives rise to the question: What is happening in Imrali? 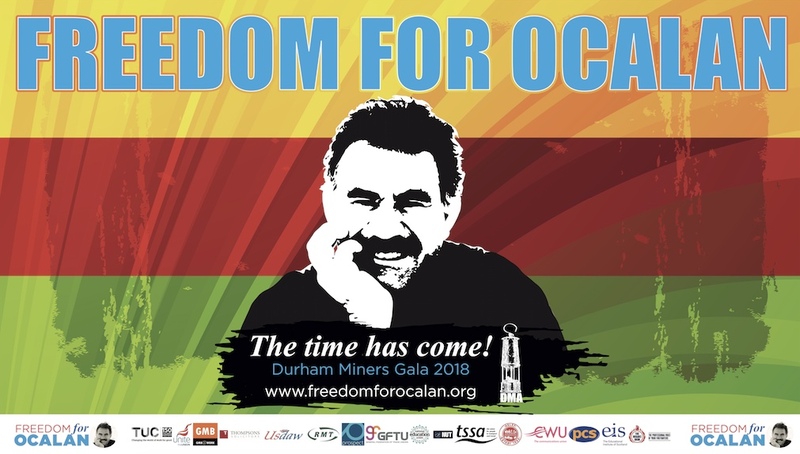 Is Öcalan’s life in danger? Since last summer the Turkish state has acted brutally against all opposition in southeastern Turkey. 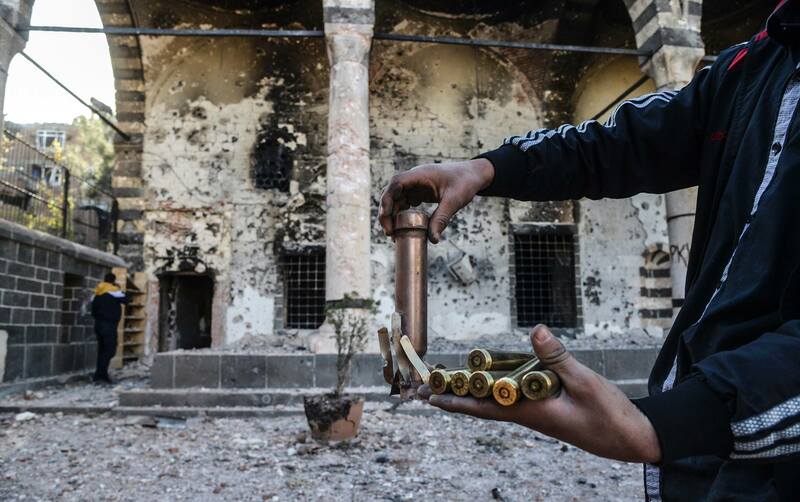 It’s freezing cold in Amed, as the city of Diyarbakir is known to its residents. Over ten centimeters of snow blankets the ground, something that happens only every three or four years. And at exactly this moment, fighting is escalating in Amed’s old neighborhood of Sur and in the cities of Cizre and Silopi, in Sirnak province. I’m here in the press office of the municipal administration, along with three journalists and a researcher. These days the office serves as a de facto base for journalists and researchers from western Turkey and abroad. We talk about what has been going on in the region for the past few months. Turkish State carries out a brutal massacre since July 2015 in cities/towns where the People’s Assemblies declared self-governance. Women are targeted by the state specifically no matter where they are −in front of their house, inside home on a breakfast table, in all forms of resistance standing against war or in massive demonstrations. AKP government, the representative of patriarchal mentality, is directly responsible for 89 women massacred in recent period. Peace in Kurdistan Campaign patron Kate Osamor MP asked a series of questions of the the UK government last week, in an attempt to gauge whether Turkey’s obvious duplicity – bombing PKK targets and Kurdish civilians in recent months apparently in the name of fighting ISIS while covertly supporting ISIS and affiliated groups – is at all an issue for the UK’s relationship with it NATO ally. The Kurdistan Workers’ Party (PKK) continues to kill Turkish police and security forces. The PKK must cease its violence and the peace process needs to be resumed. We support Turkey’s right to defend itself against all forms of terrorism. The Government continues to monitor closely Turkey’s democratic reforms, including as part of the EU accession process, focusing particularly on freedom of expression, respect for the rule of law and minority rights. We welcome Turkey’s invaluable contribution to the international campaign against Daesh, particularly its agreement for the use of its airspace and airbases, as a member of the Global Coalition committed to defeating it. Turkey has been carrying out strikes against Daesh since July 2015, and have detained over 2,500 Daesh suspects since 2013, of whom one third are foreigners. Turkey recognises the role that Syrian Kurds have to play in the fight against Daesh, and accepts that Syrian Kurds receive Coalition support. It was David Lidington MP, Minster for Europe, who answered each of Kate Osamor’s questions – 4 in total – with the same answer above. We can only speculate as to how and why this stock answer has been issued by the Government. We welcome the visit on 15-16 October of Turkey’s national human rights body to Cizre and Sirnak to conduct analysis and research on the recent events there. We continue to monitor the human rights situation in Turkey closely and raise concerns regularly with the Turkish authorities. Here, Nilüfer Koç, Co-chair of the KNK is interviewed for the latest issue of the Kurdistan Report, a bimonthly publication produced in Germany, about the 15th General Assembly Meeting of the Kurdistan National Congress (KNK). This is a translation of the German original. You held your general assembly meeting at a period favourable for the Kurds in the Middle East. How did this affect your meeting? The political and social developments of the last year once more have been reflected on our 15th General Assembly Meeting. The countless successes against the Islamic State (IS) in Rojava [kurd. : Western; Western Kurdistan/North Syria] and Başur [kurd. : Southern; Southern Kurdistan/North Iraq], Abdullah Öcalan’s three years long political struggle of negotiations with the Turkish AKP (Justice and Development Party) government, the consolidation of the democratic autonomy in Rojava and the increasing international political interest in Kurdistan were the significant common denominators of the debates. Despite their political differences the 52 speakers of various Kurdish political parties were in agreement on many issues: that it was now indeed the era of the Kurds. The International Association of Democratic Lawyers (IADL), a non-governmental organization with consultative status to the Council on Economic and Social Affairs of the United Nations (ECOSOC), and the European Association of Lawyers for Democracy & World Human Rights (ELDH) are shocked and outraged by the brutal murder this morning of our colleague Tahir Elçi, president of the Diyarbakir Bar Association. In September and October 2015 the Government of Turkey, headed by President Erdogan, launched attacks against their presumed enemies and opponents. These took place in the run-up to the general election of 1st November. The PKK, or Kurdistan Workers Party, has been involved in political and armed struggles against the state. Many ceasefires have been offered, especially since 1999, the date of the capture and imprisonment of the party leader, Abdullah Ocalan. The PKK, with the constitutional pro-Kurdish party, the HDP (Peoples Democratic Party), and other cooperating groups including trade unions, different ethnic and religious communities, human rights and women’s organizations, and opposition parties etc, had long since declared in speeches and in writing that they did not seek to become independent or to separate from Turkey. They only wanted cultural and social autonomy within Turkey. The PKK made a unilateral ceasefire declaration on 10th October to avoid prejudice to the elections. Activists and academics from the UK will travel to Turkey today to observe the coming elections, set to take place this Sunday following months of shocking state violence across the mainly Kurdish southeast and political intimidation and harassment across the country. 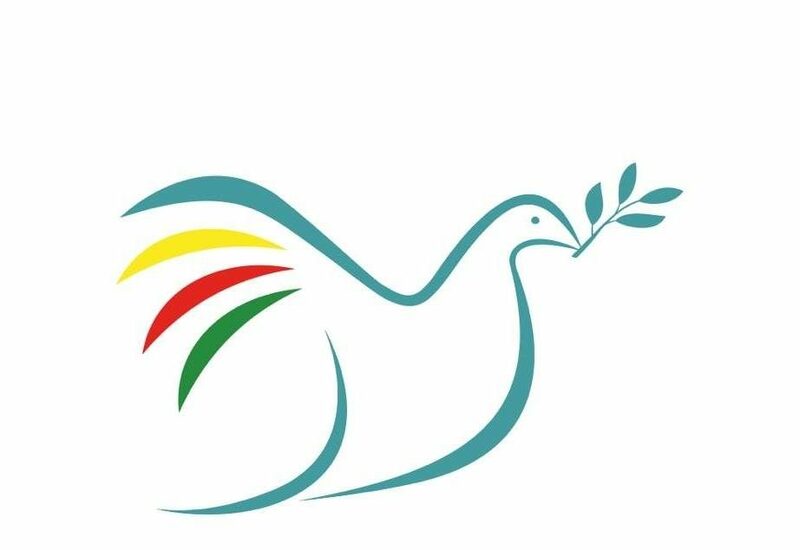 Yesterday, Peace in Kurdistan Campaign sent this letter to Prime Minister David Cameron. It was drafted in response to the Ankara bombing and the UK government’s continued support for President Erdogan, despite all evidence of his divisive and dangerous politics that has threatened the very stability of Turkey – and Syria. We call on him to urge Turkey to heed the PKK’s ceasefire and return to the peace process immediately. In just a few days, the letter was signed by 95 of our campaign’s long-time supporters, as well as friends of the Kurdish movement from across the world. We have published the letter and signatories below in full.